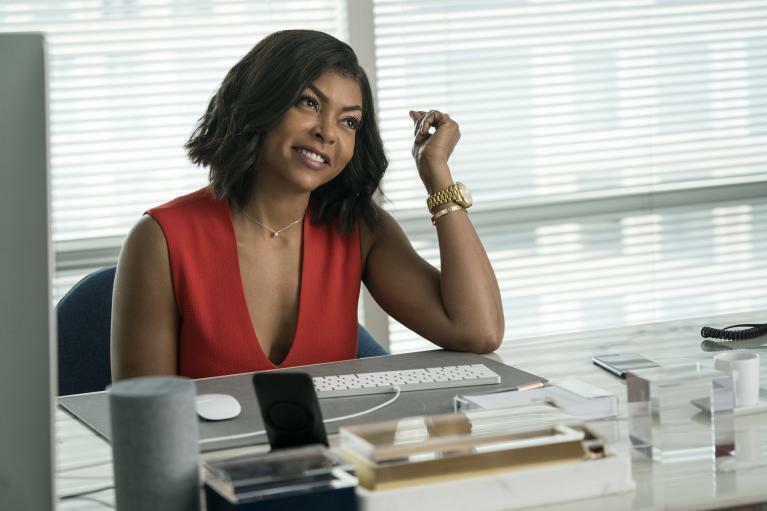 Review: 'What Men Want' Is Found Wanting In this update of a 2000 Nancy Meyers hit, Taraji P. Henson is a sports agent who reads men's minds. But gender-flipping the original film weakens the premise — and the humor. When she gains the power to read men's thoughts, Ali (Taraji P. Henson) gains an edge over her sexist colleagues in What Men Want. A sort of Look Who's Talking for grown-ups, Nancy Meyers' hit 2000 romantic comedy What Women Want now feels like a turn-of-the-millennium relic, recalling a time when Mel Gibson's smirking machismo was considered cute, like an office project worth undertaking. And the end result of that project was Gibson's character, an advertising executive, learning to understand women so he could better sell products to them. His reward is a relationship with the boss (Helen Hunt) he once resented, but the true, uneasy union in the film is the one forged between capitalism and feminism. Yet Meyers' other work, like Something's Gotta Give and It's Complicated, reveal her to be an avid student of classic rom-coms from the '30s and '40s, which were often about men and women fighting until they stand on equal footing. For all its flaws, What Women Want was gamely trying to emulate (and modernize) the battle-of-the-sexes dynamic of films like Adam's Rib and His Girl Friday, and playfully address the misogyny that still lingered in the workplace decades later. And it resonated enough with audiences to become Meyers' biggest hit to date. The notion of a gender-reversed remake makes no sense, at least beyond the black ink in Paramount Pictures' ledger. After all, the question of what men want isn't one of life's great mysteries, and it's not like men are in any comparable danger of being misunderstood or diminished in the workplace. But here comes What Men Want anyway, mostly as a vehicle for Taraji P. Henson, whose lustiness is far more winning than Gibson's, but whose character has a murkier purpose in this reconfigured narrative. The remake and the original intersect on the deceptions their heroes use to get ahead in business, but any true insight into how men (or women) think is left off the table. What Men Want has chosen the right arena for battle, however. At a big-time sports management agency, Ali Davis (Henson) has relied on her own hyper-aggression to thrive in a frathouse environment where sexist barbs are tossed around like forward passes. But when she fails to get an expected promotion, Ali learns that her bosses expect her to stay in her lane, signing female athletes like Lisa Leslie while leaving the big-ticket prospects in men's sports to the guys. As Ali sets her sights on landing a top NBA draft pick with a LaVar Ball type for a father (Tracy Morgan), her friends hook her up with a psychic whose potent tea, combined with a bonk on the head, give her the power to read men's thoughts. After the initial shock, she sees it as a chance to get the leverage she needs to get a new client and the promotion she deserves. There are lessons to be learned for Ali, who fakes family values by passing off an earnest one-night-stand (Aldis Hodge) and his young son as her own husband and child, but mostly the experience is about trying to be a better friend, agent, and romantic partner. The office culture is still the enemy here, and knowing what her colleagues are thinking usually reflects badly on them, not her. Unlike Gibson's character in What Women Want, Ali is more in need of a tweak than an overhaul, which waters down the premise significantly. What Men Wants misses the opportunity to drag through the unutterable sludge of the male psyche, trolling for dirty thoughts or more eccentric digressions from ordinary conversation. A new ratings system would probably have to be devised if it went too deep, but most of the things Ali hears are there to move the plot forward, rather than score some bawdy laughs. The funniest moment in the film is a random scene where Morgan rattles off an improvised list of ingredients he tosses into his son's smoothies. And every word of it is spoken out loud, for everyone to hear. Therein lies the central problem with the film: The entire device of hearing men's thoughts is superfluous, because men nearly always have the freedom to say what's on their mind.